This chapter introduces the book and explains its rationale. 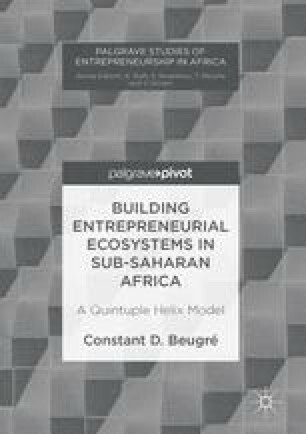 Specifically, the chapter argues that the development of entrepreneurial ecosystems is important in providing opportunities for the emergence of high-growth potential entrepreneurship in sub-Saharan Africa. It could contribute to the formulation of new strategies and mechanisms aimed at providing opportunities for gainful employment for the many young people of sub-Saharan Africa. The chapter also introduces the key issues discussed in the book.